You know those ‘awesome’-themed lists of useful links and tools? NodeSource have collected together a list of 21 such lists Node developer would find useful. Joe Doyle and Dan Shaw of NodeSource chat about how today’s enterprises are approaching working with Node. 20 minute audio, video, and writeup. 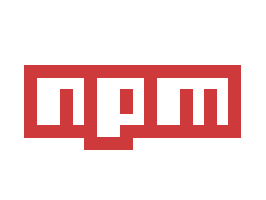 A tool for keeping npm dependencies up-to-date automatically via GitHub pull requests. Ideal for running headless on a schedule. A practical guide to using HTTP/2 from Node, from generating a TLS certificate to getting everything working in Express. Create a simple chatbot that responds to queries from users via Facebook messenger. Joyce Echessa steps through the process in detail. Learn what Event Sourcing is, and when should you use it, along with a code-driven example. See who’s running here. The election closes on January 30th. Rollbar detects and alerts you when code breaks in production. Get the stack trace, code, data to help you d̶e̶b̶u̶g̶ defeat Node errors. Using Node, PhantomJS, and AlaSQL. Adam Stacoviak talks with Sam Roberts and Thomas Watson about keeping Node Core small, what to put in, what to take out, how to deprecate and everything in-between. 38 minutes. A PaaS with Bulletproof Infrastructure, Automatic Scaling, Fair Pricing and Other Cool Features. The aim is for the highest throughput possible, at the price of features. Work in progress by the creator of the uWebSockets project. If you’re looking for Node jobs, try Hired and let the companies apply to you!